Master of International Studies at ISCTE-IUL: Applications are open! 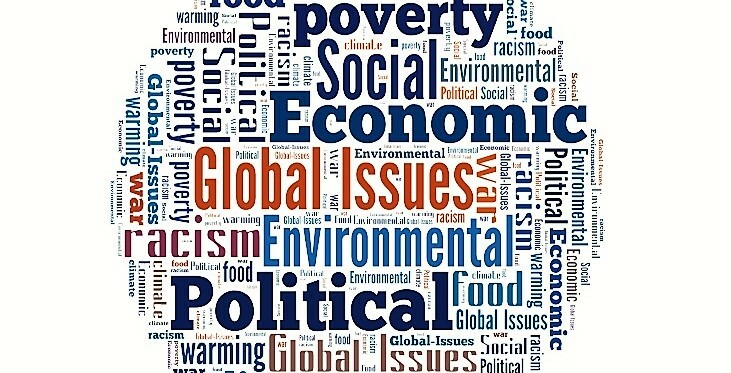 The Master in International Studies at ISCTE-IUL is a flexible interdisciplinary programme that allows students not only to explore different areas and to develop their ambitions, but also to acquire appropriate tools to better understand the fast geopolitical changes that are taking place in the 21st Century. Because internationalization is a priority for ISCTE-IUL, we continuously strive to help international students make the best of their stay in Lisbon. You can share your experience with thousands of other foreign students that study at ISCTE-IUL, while living in one of Europe’s most cosmopolitan yet safe and affordable cities, just a few hours away from the heart of Europe. In addition, you can learn Portuguese, one of the most widely spoken languages in the world that is sure to open doors and create opportunities in your future career. The Master in International Studies is organized according to a multidisciplinary perspective, integrating courses from different scientific areas, from International Relations to History, from Economics to International Management, from Sociology to Anthropology. It is designed for students with degrees in those areas who want to develop multidisciplinary post-graduate studies. The Master in International Studies will prepare students for careers in international organizations, NGOs, business and international management, media, policy-making, public administration, social services, as well as teaching and research. The Master in International Studies is structured around a common core of mandatory courses that deal with the study of institutions, governance and international relations. Other courses in the programme relate to the major societal and developmental challenges, human rights and citizenship. The Master also offers courses focusing on the dynamics of economy and international business. In addition to the common core of mandatory courses, students are free to create their own path in areas such as Africa, India, China, Latin America, Middle East and North Africa, Europe and Transatlantic Studies, as well as International Management. Students who choose two optional courses in the same area of specialization and prepare a dissertation on the same regional or thematic area will have that choice recognized and mentioned in their diploma supplement. The Master in International Studies allows students to develop the knowledge and skills acquired during the first cycle of education in a multidisciplinary approach in the scientific area of International Studies. The programme will also strengthen the link between education and the increasingly internationalized research developed at the Centre for International Studies of ISCTE-IUL, since during the preparation of the dissertation and project work, students are preferably integrated in ongoing projects therein. Courses will be taught in English. Among this programme’s target audience are students from other European countries and also from countries outside Europe, trying to meet the growing demand for advanced training at ISCTE-IUL. Nowadays, international students already make up about 10% of the student population at ISCTE-IUL. The second phase of applications started on May 23, 2017. Apply here! Tuition for each year can be paid as a whole or in several installments. ← Eastern Africa – High Growth Rates and Increasing Foreign Direct Investment: What Don’t They Reveal? Director and researcher at CEI-IUL. Associate Professor at ISCTE-IUL. Editor of the Portuguese Journal of Social Science. Ph.D in American History (University of Wisconsin). Visiting professor at Brown University.